No one in the Mortgage Field Services industry would desire that any homeowner become delinquent in making their mortgage payments. Just as an auto body repair shop never hopes for more auto accidents so that they can repair more vehicles. Nor does a roofing company pray for more hail storms so that they can replace roofs. It’s going to happen no matter what, and it’s a part of life. Divorce, drug abuse and illness are some of the main reasons for mortgages to go into default. Holidays, vacations and general lack of financial management are other contributing factors. No matter what the prevailing economic climate is there will always be about a 4 to 5 percent mortgage delinquencies (2 months or more behind in payments) nationwide. The exceptions would be the Great Depression as well as the more recent mortgage crisis of 2008 where mortgage delinquencies reached close to 10% nationwide. The correction to the subprime mortgage fiasco made it harder for potential home buyers to purchase a home unless they had superior credit scores above 700 along with 20% for a down payment. Currently home ownership is at a 51-year low due to stringent lending requirements. This is in the process of changing. In an effort to stimulate home buying, the requirements to apply for an FHA loan are now as low as a 580 FICO score and as little as 3% down which can now be gifted. As more houses are sold in 2017, this one factor alone may have a slight increase in the total percentage of delinquent mortgages but it will not be the main contributing factor for increased mortgage field services in 2017. So why will there be more mortgage delinquencies in 2017-2018 and beyond? Not because the delinquency rate will rise; it will still be around the 4 to 5 percent mark as usual. It will be because home ownership overall will increase. 2018 will see increased home purchases of new and used homes on an unprecedented scale. It’s all about perception. Since the 2016 election of Donald Trump the atmospheric mood of the population is uplifting and encouraging. Black Friday set records after the election. The stock markets are at the highest levels ever. Even restaurant patronage is at a 10-year high. All this in anticipation of a stronger economy with the new administration. From here, it’s just a matter of logic and statistics. The more mortgages there are, the more delinquencies there will be to service for the mortgage field service industry. 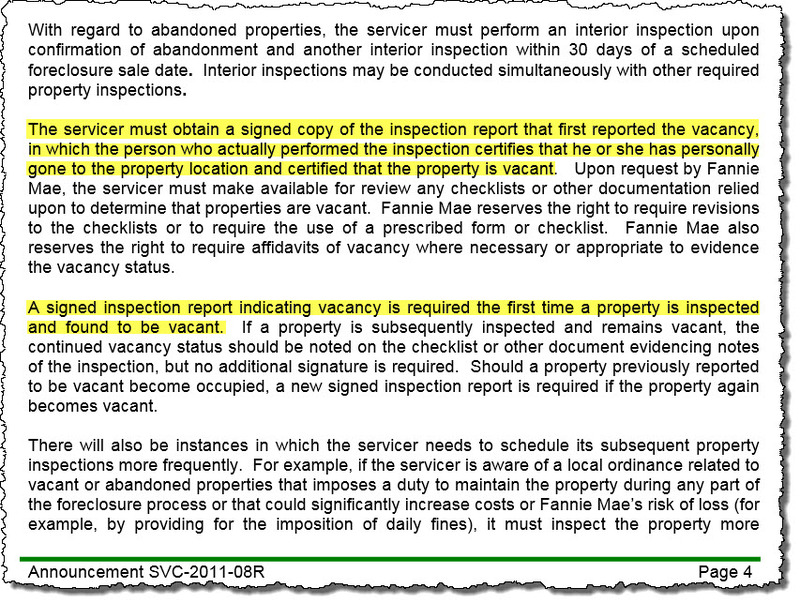 In recent years, lower work order volumes of residential properties to inspect or preserve, coupled with the higher demands from the banks and mortgage companies for faster service, broader coverage, and higher quality inspections, are contributing factors for several of the weaker Nationals and Regional size mortgage field service companies to fail in 2017. Thus, those companies still standing in 2018, especially those who fully participate with Aspen Grove background check and who are members of the National Association of Mortgage Field Services (NAMFS), will be far more successful and settled in to be heavily rewarded in reaping the benefits of higher work order volumes to come, naturally. Why Do We Have to Fill Out Vacancy Certifications? Short Answer: Because it’s the law. Wait a minute! It says we have to submit a certification only on the first time the property is found to be vacant! Why then do we have to submit a vacancy certification for every client, every time we visit the property? For logistical reasons it would be nearly impossible for a national company to keep track of and maintain records of whoever the first inspector was who found the property to be vacant. The servicer may use one national this month and another national the next month. The national may use a particular company this month and different company the month after. And then when it comes down to the inspector out in the field, it could be just about anyone in the business. The easist and most cost effective way to meet this requirement is to simply make the certification mandatory on each and every inspection. No mistakes, no trying to figure out who was there first etc. So why do we have to do this in the first place? The answer is simple. When you have mortgage field service inspectors out there doing property inspections for $2 or $3 bucks each, you’re not going to get quality results. Inspectors getting paid such low fees have to get out there and knock out 80 to 100 inspections a day just to make ends meet. This is where the term “drive-bye” came from. They have to do inspections so fast that they barely have time to do an inspection properly as if they were making $5 per inspection. 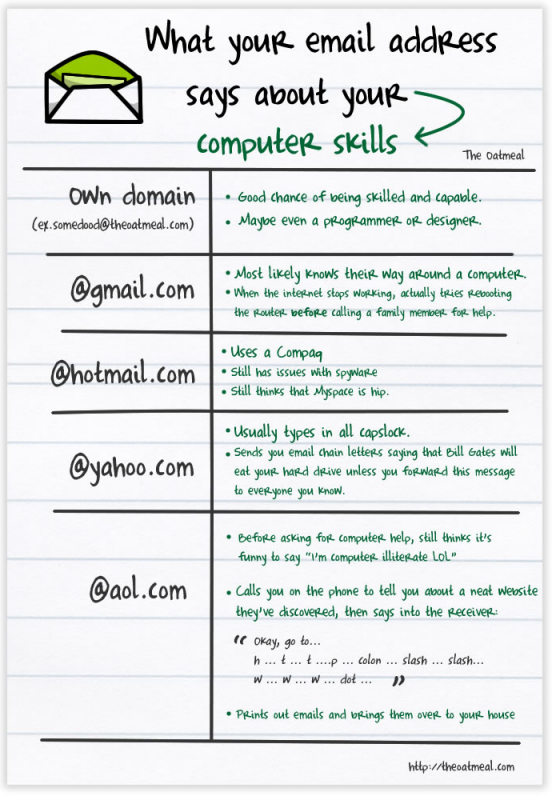 Subsequently mistakes are made. Properties that are mistakenly reported as vacant which turn out to be occupied create all kinds of problems. Many inspectors don’t realize that when they report a property as vacant it starts a chain reaction of events that is hard to stop. A new work order is issued for a Property Preservation crew to visit the property to change the locks and often remove the debris. The P&P guy arrives at the property and even though they discover the property is occupied, by golly they have a work order in their hand to change out the locks and they’re not leaving until the locks are changed so they can get paid for going all the way out there! “Legal burglary” is what some jurisdictions call it, and then they move the case from a criminal act to a civil dispute. Law enforcement agencies generally do not want to get involved in disputes between a home owner and their mortgage company. The home owner is often helpless and has very little recourse. There are particular Nationals and Regional companies out there that pay peanuts for field service inspections and have so many lawsuits against them that it is almost a daily occurrence. It’s hard to do a good 10-15 minute vacancy inspection the way it ought to be done when you are only getting $2 to $3 bucks per inspection. This in turn gives our entire Mortgage Field Services industry a bad rap with a lot of mixed reviews. So then the government steps in to protect homeowners and start requiring inspectors to sign a statement that they confirm and have personally visited the property and can provide proof that it is vacant. It’s not a fool proof system but it has helped reduce lawsuits. Vacancy form or not, do the job right and make sure you are totally convinced that the property is actually vacant. You don’t want to be the cause of some homeowner having all of their life long keepsakes sent to a land fill because you were too busy to do the inspection right. If the property is vacant with personal property inside, make sure you make notes about it in the comments section. with a national field service provider to perform the requested work. Click the quote below to read the full article. After hundreds of lawsuits and thousands of complaints, banks are finally pushing for reform. The measures are meant to screen out people convicted of felony criminal offense, such as theft or fraud. The Mortgage Field Services Industry is facing ever increasing requirements to ensure there is appropriate oversight of their third party service providers. One by-product is the requirement to have a valid criminal background check. Background checks are a long-term standard practice in many organizations as a way to mitigate risk. Background checks are now a mandatory reality for the mortgage field service industry, but to date no standard has been applied that is valid for multiple clients. The Consumer Financial Protection Bureau (CFPB) which was created out of the Dodd-Frank Reform Act has rolled out new regulations requiring financial institutions to manage their risk appropriately. These reforms are across the entire mortgage industry, but the major issue of compliance for our business of inspections is by requiring third-party vendors to pass a criminal background check. As a result, the National Association of Mortgage Field Services (NAMFS) in conjunction with Aspen Grove Solutions (AGS) and First Advantage established a solution, called Aspen iRecordTM, a Standardized Background Compliance Solution for the Financial Services Industry. Now the mortgage field services industry has a centrally managed criminal background check process set in place and it verifies that an inspector has the credentials to conduct mortgage field services at every property they visit. It is thought that this new credentialing system gives a collaborative approach, builds professionalism and trust in our services, and shows we are passionate about maintaining a safe, sound and secure vendor network. If you have not heard about this new criminal background requirement provided by Aspen Grove from the major Nationals, you soon will. Within the months to come more and more banks and national as well as regional mortgage field service companies will be requiring this new background check from their vendors. You won’t be able to conduct inspections without it! Aspen iRecord assigns a unique “ABC” number to those who pass a criminal background check through AGS. This new system will require one of two things: (1) the inspector uses the AGS phone app, which allows them to enter in their unique ABC number at each property they are inspecting, or (2) the inspector enters their ABC number into the InspectorADE cell phone app. In essence, in the very near future you will not be able to conduct an inspection for any National Mortgage Field Services company unless you provide your unique ABC number. The Aspen Grove Solutions program is not just a standardized background check. It’s a complete onsite verification system that validates that the inspector at the property has the credentials to be there. The process for obtaining your unique ABC# takes about a week. To help ensure your future success in the mortgage field services industry, you should sign up as soon as possible. National mortgage field service companies who have not already joined Aspen Grove Solutions will also need to get onboard with this new standardized process as well. Soon, banks and mortgage companies are going to demand that all of their vendors, from Nationals down to the inspector in the field, be required to provide an ABC number in order to be paid for their inspections. The opportunities this new background procedure will ensure are priceless to those interested in staying in the industry. Those who have an ABC number from Aspen Grove Solutions will be in high demand. Estimates of 25% to 40% of unqualified inspectors will be forced to drop out of our industry because they either refuse to go along with the process, or worse, they are not qualified to step foot on a client’s property due to previous felony convictions. By the laws of Supply and Demand, this practically guarantees that those who have an ABC number will most assuredly be sought out to do inspections. The new background process has already started. Wells Fargo had MCS go through the process first. LPS (Black Knight) is next in line, followed by all other Nationals who service Wells Fargo to follow shortly thereafter. This is all going to happen in a very short time frame. As a company, NMFS spends about $800 a year on background checks for the CEO personally, just to contract with the Nationals to conduct their inspections. When the Aspen Grove Solutions system is fully implemented, inspectors will no longer have to pay for background checks for every company the desire to work for. With this new background process one fee is paid once a year. Then, you provide your ABC number to any new company you work for. The fee for background checks are part of our business, and is tax deductible. For other questions about Aspen Grove and this entire process, visit the FAQ on their website. If you have not created an account with Aspen Grove Solutions and you would like to create your own “Organizational Account”, which is required if you desire to work for more than one National Mortgage Field Service company at a time, then click on the following link to get started. Aspen Grove Organizational Account. a) Select NO if the background check is only for you ($25.00 registration fee). b) Select YES if you have or will have other inspectors working under you ($75.00 registration fee). Once your organization account is approved by submitting the proper documents (e.g., electric or water bill etc. ), you will then be asked to pay for your background check directly to Aspen Grove, which is $65. If you have already created an Organization Account with Aspen Grove, and passed their background check, you simply request your new client to send you a Connection Code to connect your organization with the company you intend to do business with. No other fees apply. National Mortgage Field Services (NMFS.com) fully intends to comply with this new innovated process which will create a more professional industry for us to work in. NMFS will soon have a nationwide army of Aspen Grove qualified inspectors, each having their own unique ABC number, to conduct inspections for all of our clients who require it. As mortgage field inspectors, we are required to inspect vacant properties. Often times we encounter mold in the home and depending on your immune system, this can cause instant headaches as well as trigger asthma attacks, allergic reactions, and sinus infections. There are literally hundreds of thousands of mold species which are all essential components of our ecosystem. They provide decomposition of many organic substances necessary to plant, animal and human life. Mold is a fungus that grows wherever there is moisture. Mold spores that pass through the air find places where there is moisture to cling to. 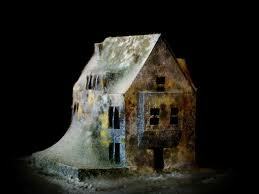 Leaky roofs, pipes, walls or flooded areas are the breeding places for mold. In the past, we have been given liberty with not being forced to conduct interior inspections when we know that there is a mold health hazard. Due to the inexpensive availability of face masks that prevent inhalation of mold spores, we can no longer refuse to enter the property due to mold. As often as we inspect the interior of properties, we need to think about our own health and safety. There are three types of black mold that are less common but are considered very serious health hazards. Stachybotrys, Memnoniella, and Acremonium. DO NOT…think that some of those cheap paper masks that you can buy at Home Depot or Lowes will protect you. 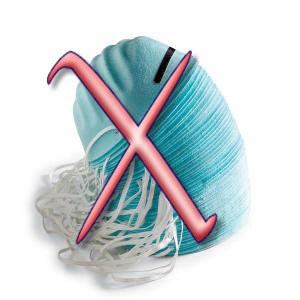 The common cheap nuisance dust mask can only protect you down to 40 to 50 microns. Just how big (or small) is a micron? So you see, one of those cheap nuisance dust masks will not protect you against ANY mold spores whatsoever! It gets worse… Those black mold spores shown in all those nasty photos above, they get as small as 3 microns! The mask you need to fully protect yourself from mold or anything else floating around in the air on some of those vacant property inspections you conduct, is the 3M 8210 Respirator-Partical Mask. 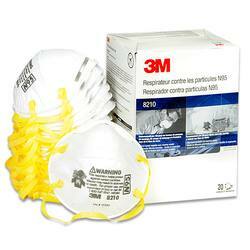 This mask is government certified to protect you at 95% for all particles 0.3 microns or larger. Not only just for mortgage field service inspectors, but also for those conducting REO Property Preservation clean-out and debris removal. If you search a little harder you can find these for less than .75 cents each. Not a bad investment when it comes to preventing headaches from mold spores in vacant houses. This is what we do folks, we inspect vacant houses. You know that there is a good possibility that you will encounter mold. Protect yourself. Wearing the proper protective equipment is a business expense that each of you need to consider. Be professional and use the proper mask. Mortgage Field Service contractors are faced with the dilemma of providing occupancy verification and letter delivery services to all sorts of properties for their clients. Properties with “No Trespassing” signs can and often are treated in the same way as “no contact” inspections. Inspectors are asked to take detailed photos of the signage, but to always keep their personal safety in mind. With the exception of bankruptcy cases, if we choose not to cross a “No Trespassing” sign, then we need to reach out to the neighbors to verify occupancy. Just because there is a No Trespassing sign does not mean that we cannot provide accurate results to our clients. The laws about No Trespassing are interpreted and applied on a case by case basis and can be confusing. 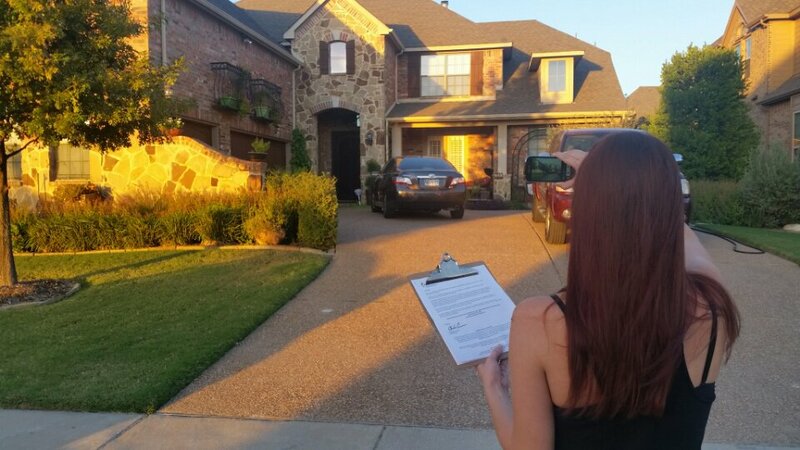 For our part, our clients do not expect us to trespass just to put a door hanger on occupied property. But they do expect the occupancy results. We NEVER leave a door hanger or letter on the “No Trespassing” sign itself, or anywhere else other than the door. On vacant properties it is more than likely an old sign that was never removed. The best practice to keep in mind when ever you encounter a No Trespassing sign is to ask yourself, are you trespassing? If you are representing the bank or the investors interest and are there to conduct official business, then who would ever think that you are trespassing? Does it really make sense to believe that a person can buy a home, have a mortgage on the property, become delinquent in their house payments, slap up a No Trespassing sign so that they can stay there forever without paying or being asked about the payments? If you have no business at the property then you are probably trespassing. 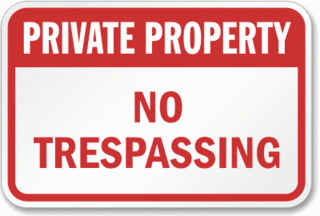 If you are there at the property for official business, then you are not trespassing. The following information may be helpful to field service inspectors. It shows that actually, we can, legally deliver a door hanger or letter to a property even it No Trespassing signs are posted, because we have the legal right to do so as part of the mortgage process. Of course this is a regulation that you would need to determine based on the state you are conducting mortgage field services in. The example below is for the state of Oklahoma. HB 2984, the trespass reform bill championed by the Oklahoma Farm Bureau, has been signed into law by the governor and will become effective on November 1. What does that mean for private property owners? How does this law apply? Who is affected? Who is not? The new trespass law clearly states that whoever willfully enters the private land of another that is primarily devoted to farming, ranching, or forestry purposes, without permission by the owner or occupant shall be guilty of trespass. This means that anyone entering private agriculture land must have permission to enter, or he or she is trespassing. The landowner is no longer required to post or to prove the land was posted for “no trespassing,” but it is not a bad idea to leave your signs up as an extra deterrent. The law does not apply to peace officers or federal, state or local government employees while performing their official duties; or to firefighters, emergency medical personnel or public utility employees addressing an emergency; or to parties engaged in oil and gas operations acting under a legal agreement, permit or order. Basically, law enforcement and others working to assist the public are not trespassing when they enter private agricultural land to carry out their official duties. Others who may enter such land, unless forbidden to do so by the owner or occupant are: registered land surveyors to perform their services; persons in the sole process of retrieving their livestock or animals; persons making a delivery, selling a product or service, conducting a survey or poll or working on behalf of a political candidate or who otherwise have a legitimate reason for entering and immediately upon entering seek to conduct that business. This means that those who can show a legal or lawful reason to be on the property will not be considered trespassers, unless they had been told not to enter by the landowner.